$80k MSRP Vehicle. Super Clean/ Well Maintained, ZCP Competition Pkg F80. 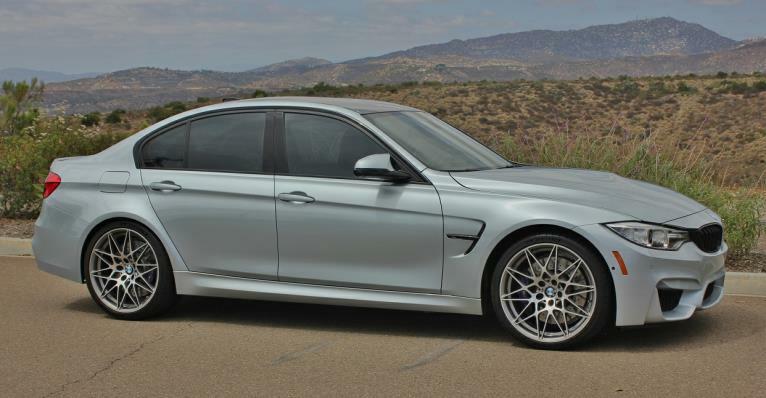 The Competition package M3 has 19 extra horse power over a standard M3. Also included are: Adaptive M Suspension, 20-inch 666M Star Spoke design forged Light Alloy wheels, a sport exhaust. Only 20k miles on the odometer. Buy with confidence - balance of new car warranty comes with vehicle until 50k Miles or July 2020. Call or text us to a setup an appointment to view this vehicle! until 07/16/2020 or 50k miles, whichever occurs first . PLEASE CALL HANCOCK AUTOMOTIVE FOR APPOINTMENT TO SEE THIS CAR. Price excludes government fees and taxes, any dealer document preparation charge. The information here is deem reliable, but not guarantee. Although Hancock Automotive exercise good-faith in the reporting of information provided, including, but not limited to, equipment/options included, packages included, and the total MSRP provided. Potential buyers to verify.